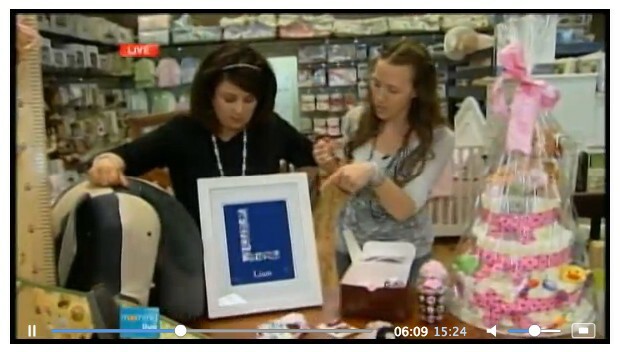 Simple Sugar art prints were used as set decor in this hilariously cute video for Levana child safety devices. 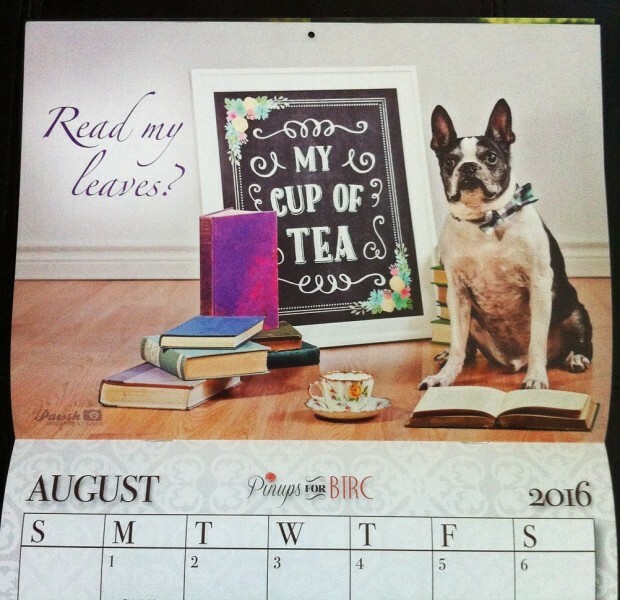 Simple Sugar Design was asked by Pawsh Magazine & Studio to design a piece for the Pinups for BTRC charity calendar, benefiting Boston Terrier Rescue Canada. Our “My Cup of Tea” design is featured in the month of August! 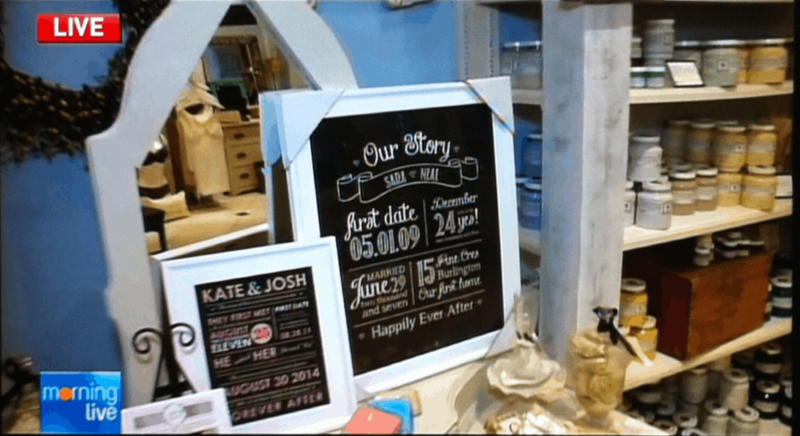 Two of Simple Sugar Design’s Love Stories were seen on CHCH Morning Live, in a segment promoting Wedding Wednesdays inside Pure Boutique in Burlington Ontario. Click here to view the entire segment. Simple Sugar Design’s Chevron Growth Charts were included in the MTV Movie Awards Style Lounge gift baskets courtesy of Signature Little Ones. 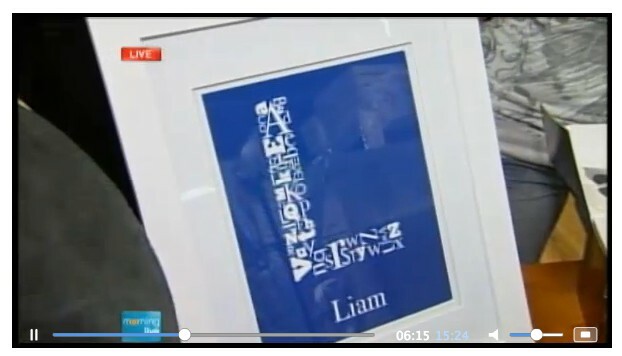 They were gifted to pregnant celebs at the show. OK! 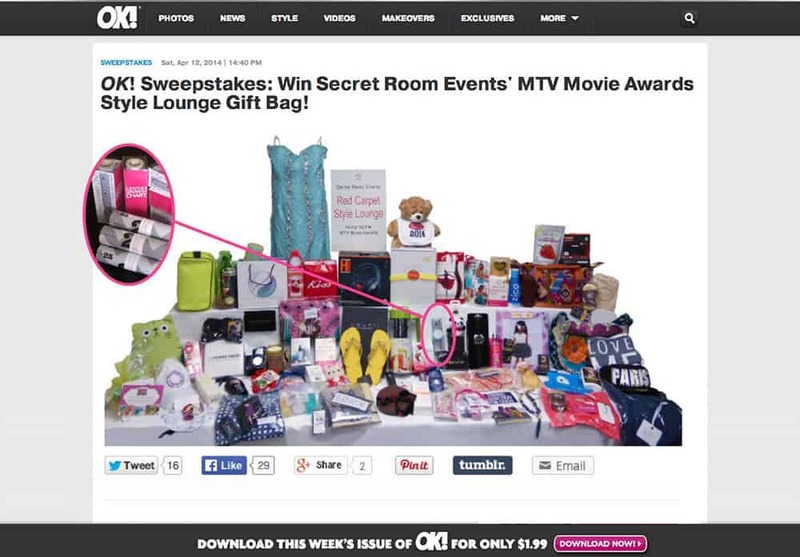 Magazine also gave away one of the exact baskets given at the show! 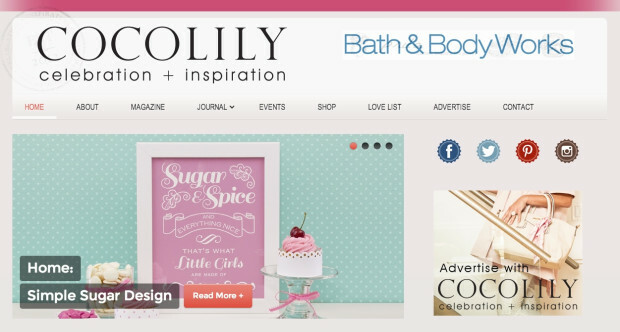 Simple Sugar Design was featured on Cocolily Magazine! 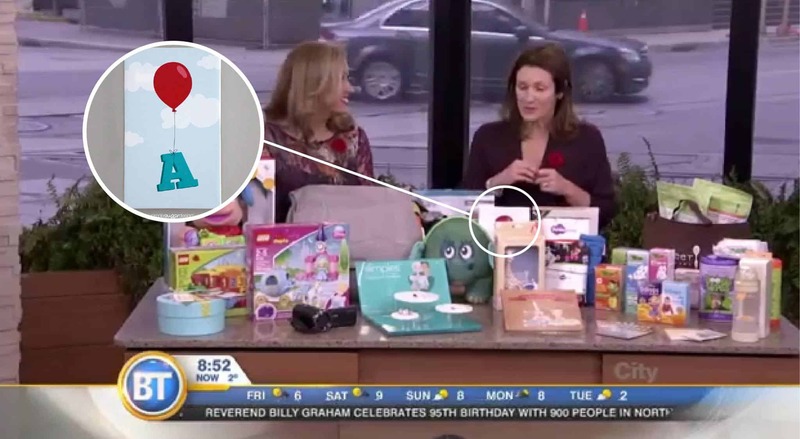 Our ‘Balloon Initial’ canvas print made it on Breakfast Television! Isn’t she beautiful? All 1.5 inches of her? LOL Oh well, when life gives you lemons, make lemonade, right? Click here to view the entire segment. 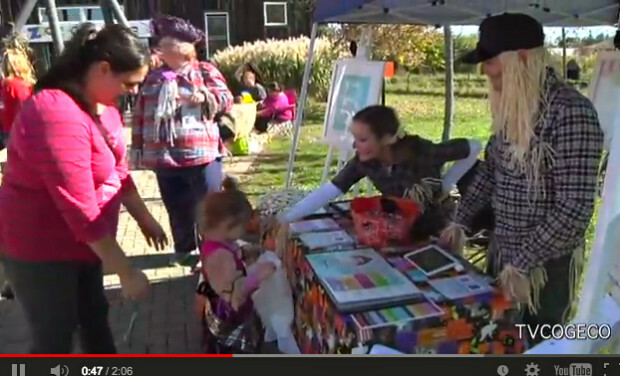 TV Cogeco seemed to really like our booth during their piece on Safari Niagara’s “Boo at the Zoo”. Yep, that’s us dressed as scarecrows! 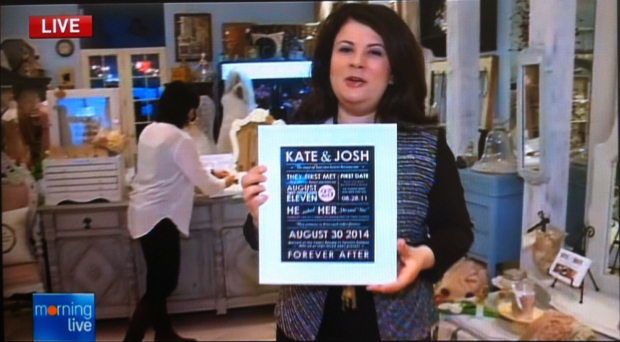 Click here to view the segment!